If you love nature and wildlife, you can satisfy your desire to see southwest scenery by taking a Grand Canyon bus to the South Rim or West Rim of the Grand Canyon. By taking a bus, you can sit back and look at the scenery and better enjoy your excursion. One of the best ways to take a wildlife viewing trip is to begin in Las Vegas. A Las Vegas pick-up to the Grand Canyon is a daytrip you won’t want to miss, especially if you love to hike and see nature. This is your chance to break away from the hustle and bustle of the strip and commune with nature for the day. Tour buses from Las Vegas feature luxury amenities, such as cushioned and adjustable seats and take-along meals. You just need to show up at the time of departure and leave all the driving and tour guiding to us. 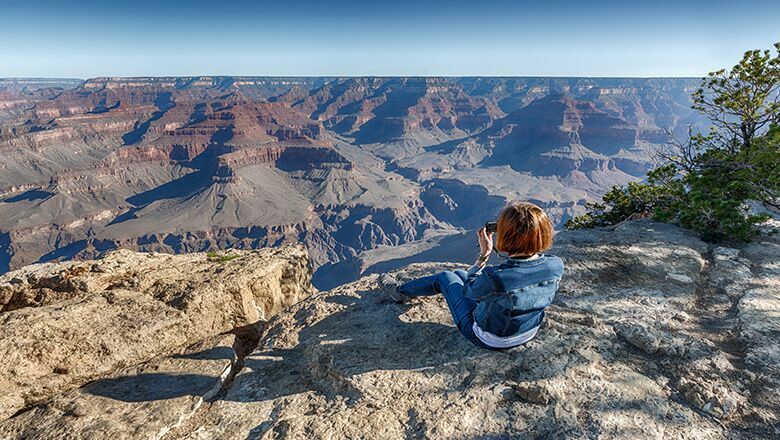 Most people, who see the Grand Canyon for the first time, choose to go to the South Rim. While this destination attracts larger crowds, the trails are more walker-friendly and less remote. For example, you can take the Rim Trail and enjoy a good amount of shade on warmer days. People do not realize how the Canyon walls can attract heat. That is why it is a good idea to schedule your trip in the cooler times of the year, such as March or October. That way, you won’t feel distracted by too-hot temperatures. It will also give you a better chance to view the scenery and animals in the Grand Canyon. You can see animals in this area that you cannot see anywhere else. If you like to birdwatch, you will be rewarded with views of birds, such as turkey vulture, California condor, golden eagle, and bald eagle. One of the most interesting bird sightings is that of the California condor. This bird, which is rare, almost became extinct at one time. Captive breeding programs have released condors in areas, such as the Grand Canyon, so they can continue to survive. Of all the animals in the Grand Canyon, this bird is one of the most exciting to spot. Not only does it have the largest wingspan of any North American bird, the condor forms an impressive form against a blue sky. Wing span of the condor averages about nine feet. The vulture, which is primarily black, features a bald head that is yellowish to reddish in color. While you may not see a condor on your visit, you don’t want to miss the opportunity of possibly seeing the bird. Naturalists have determined that about 150 condors live in the wild currently. A symbol of the USA, the bald eagle also has a wide wingspan, although not as expansive as the condor. The wings span about six feet out when the bird flies. You often can see bald eagles sitting in trees beside river banks – normally in the eastern part of the canyon. They often swoop down for a fish meal using their sharp vision as a guide. If you would love to see the animals in the Grand Canyon, now is the time to book a trip on your Vegas vacation. Taking a Grand Canyon bus to the South Rim or West Rim will make the trip both relaxing and memorable.